My punching bag workout sessions during my CASPER Workout Program that I follow four times per week. The impact of the CASPER Fitness/SR-925 Diet Program, the X- Factor, was substantiated with a medical checkup I just had. Last week marked 10- years since I had my hip replacement surgery in February of 2007. This date also marked three years since I have been on the SR-925 Diet Plan that I started in December of 2014. The results of my checkup for my hip replacement after 10- years showed little to no wear on the joint, socket, or the stem that connects down into the Femur bone. 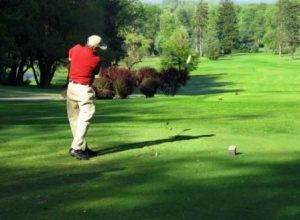 My activity includes construction work, farm work, walking the golf course three times per week, and exercising four times per week. Even my Orthopedic Surgeon was surprised to see the results after 10- years. My weight decreased from 185 pounds in Dec 2014 to 154 pounds in Oct 2015. Most of my weight loss was within three months of starting the SR925 Diet Program. New medical evidence was released this week (25Jul2018) that stated that eating within a specific time schedule can prevent certain forms of cancers, as well as allowing a person to lose weight and maintain a healthy lifestyle. The report stated that a person shouldn’t eat within 2- hours of their normal bedtime. This evidence substantiates my SR925 Diet Program of eating within an 8- hour schedule. In addition to helping a person lose weight and keep the weight off, the SR925 Diet Program can help a person prevent certain forms of cancer, which is a huge benefit for all of us. Remember, your health/fitness is based on 80 percent diet and 20 percent exercise. The SR925 Diet Program turns your body into a juggernaut, not only to effectively process your food intact, but also fight diabetes, heart diseases, arthritis, Alzheimer’s, Hypertension, and now certain forms of cancer. The SR925 Diet Program is based on Circadian Rhythms, which are explained later in this article. Circadian Rhythm allow a person to use their digestion system more effectively and more efficiently, based on how our digestion systems were designed to function. This is the X-Factor component of the SR925 Diet Program. Even eating certain foods that are normally healthy and out of your Circadian Rhythm can negatively affect your health. It is more important when you eat than what you eat, even healthy foods. You can actually eat healthy foods off of your normal schedule and have an adverse effect on your health, and, more importantly, your weight, and your ability to lose weight. Staying within your natural Circadian Rhythms has a huge benefit for the individual to lose weight and more importantly remain healthy. What would be a shame is for a person who has worked 30-plus years at what you have to do and then retire and not be able to enjoy what you want to do, when you want to do it. During the checkup, we went over my activities and diet program for his research he was doing. The reason for his interest and research was the age that I received my hip replacement. Usually hip replacements are performed on patients who are well into their 50’s or 60’s. I was just 48 years old when I received my hip replacement, due to a rare disease called Perthes. 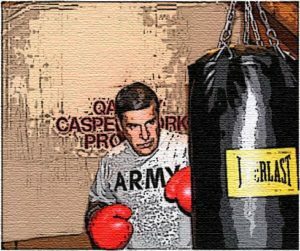 The following is a brief medical review of both programs, the CASPER Workout and the SR-925 Diet Program, and their impact on my health and fitness. 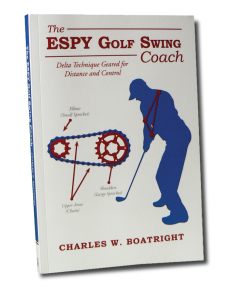 Usually the term X- Factor refers to the rotation of the shoulder in relation to the hips in golf during the takeaway swing. But I also use the X- Factor to describe the Exponential factor I have experienced by following the CASPER Workout Program and the SR925 Diet Program. The X- Factor is the only adjective I know of that can accurately describe my results. 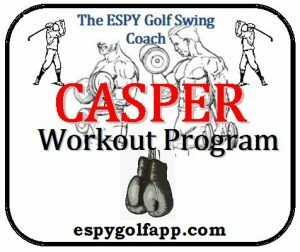 The CASPER Workout Program that I developed was with the assistance of Dr. Smith, my Orthopedic Surgeon. This reduced the impact on my hip replacement. The SR925 Diet Program that I developed is based on Circadian Rhythms and the nutrition labels that are on packages of food, or that can be derived from apps on the I-Phone of menu items at restaurants. First, the SR-925 Diet Plan. Circadian Rhythms have more of an impact than just on our sleep patterns. Circadian Rhythms also impact how we learn and process food. In the area of our digestion, Circadian Rhythm governs the schedule of how our body processes food. Thus, the term 9-2-5. Our bodies start processing food at 9 a.m. and hit the maximum period of digestion at 2 p.m. The number five is 5 p.m. when the body slows down the rate of consuming food. Thus, the nomenclature 9-2-5 of WHEN. The nomenclature SR, the WHAT, represents Sugar and Starch-Restricted Diet weight factor. The SR is a very easy calculation you can perform and help you collect a list of food you can consume within an eight-hour schedule. 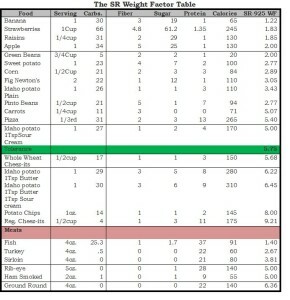 Below is the sample of the weight factor chart and the formula to determine your weight factors. Every successful diet program needs to have a reward system built in. 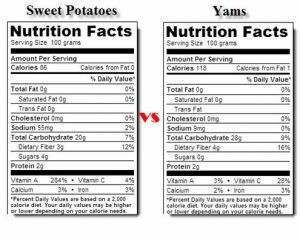 This is the reason why 5 percent of my items I consume at meals usually over the weekend have a Weight Factor up to 7.25. 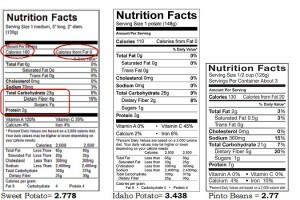 NOTE: You need to stay within the serving size suggested on the nutrition label. The golf trainer home gym set up and basic equipment needed. 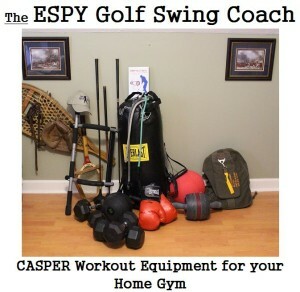 The CASPER Workout Program is based on a golf trainer home gym that can be set up in a spare room in your home. I set my up my golf trainer home gym in a room over my garage. 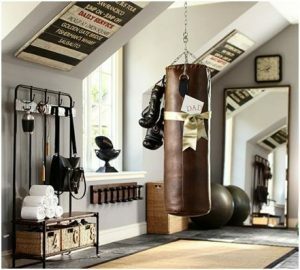 The golf trainer home gym consists of basic exercise equipment, (e.g., medicine ball, dumbbells, resistant tubing, boxing gloves and a punching bag).